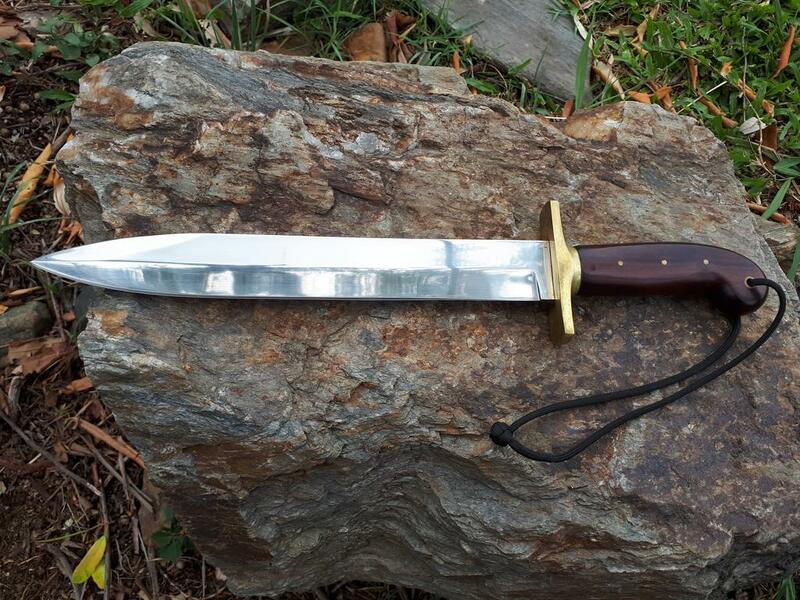 This is my review of the Cold Steel 1849 Rifleman's Knife, which will be different from all the other reviews I have done as I have not used this knife to cut much of anything other than some paper to test keenness. I did not buy this knife as a 'user' per say but rather incase I needed to use it, that is to say if I ever find myself in need of a large fighting knife, as that is exactly what this knife was designed for. 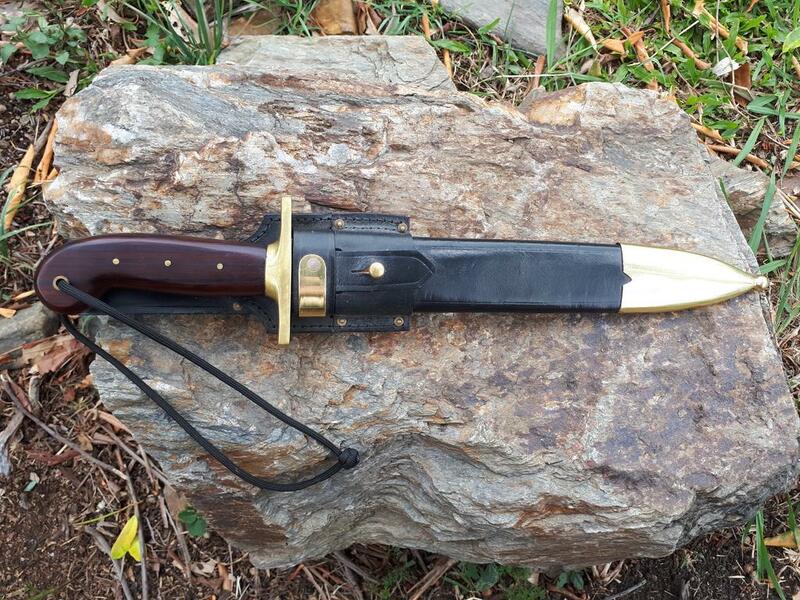 The 1849 Rifleman's Knife came shipped in a nondescript black box, with the knife and sheath packed separately and the blade covered in oil and a plastic sleeve. 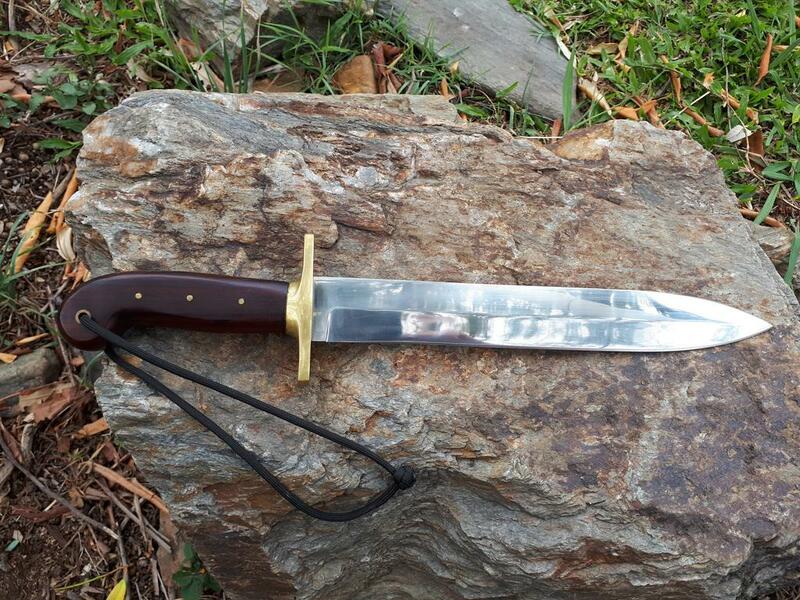 I won't give another description of the knife (as it is already done above) other than the fact that the swedge is false and not sharpened, and the sheath is a friction fit with no other retention system included. The big Rosewood handle fits my hand very well, and as with all big knives I own I have made sure I have added a thumb loop lanyard. I have noticed that the high carbon blade easily patina's if you don't keep the polished blade oiled, and I have had to use a Super Erasure to remove blemishes to the polished finish on several occasions. The knife came from the factory only barely sharp and I have had to worked on the edge a bit to get it to what I would consider reasonably sharp. The saber grind only starts at the middle of the blade and it is very thick behind the edge and appears to have a 25DPS edge on it so it is never going to be an efficient slicer. But as with the likes of the CS Recon Tanto this knife was designed as a fighting knife and I understand why CS ground the blade as they have. This knife is a great knife for what it is, and I assume it is very well suited to what it was design for. I bought this knife for its cool factor and because I like big knives like this. As I said I didn't buy the Rifleman's Knife as a user, but rather as a showpiece, talking point and because I thought it looked awesome. Even if I never use it I am happy with its purchase and it gives me pleasure every time I pull it from its sheath and hold it. 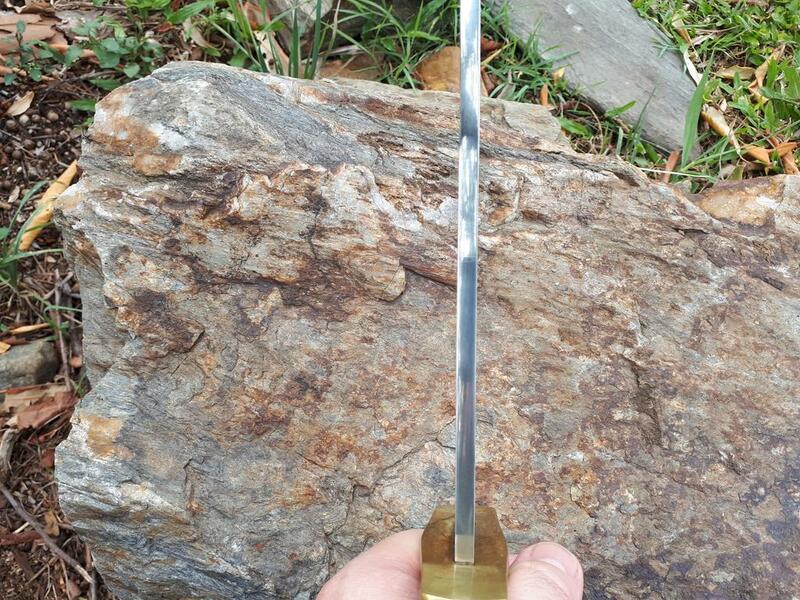 Looks fearsome and very much a military type blade as the writeup indicates. Sort of thing that could be wipped out in a hurry for a soldier in close quater combat. 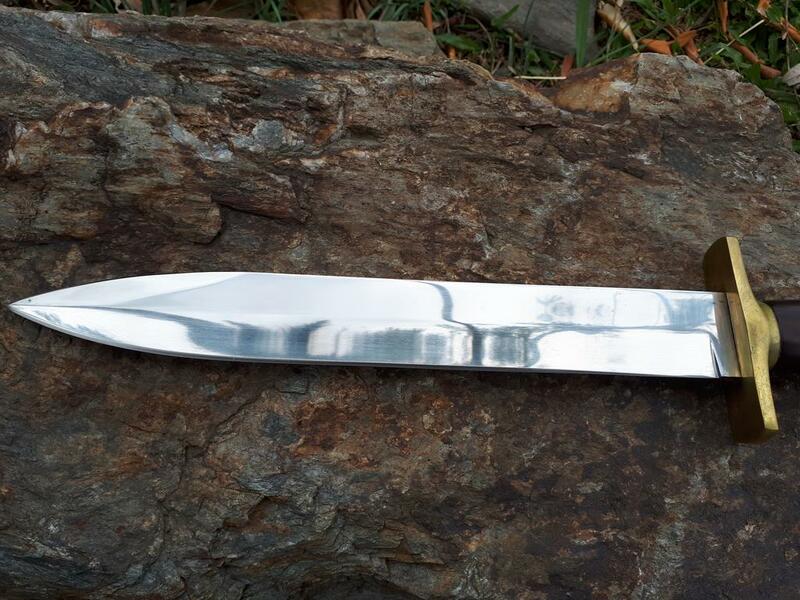 Handsome piece for sure, the carbon steel blade will need regular care which was thing in days past. I have to say also that Cold Steel did a good job reproducing this knife as I have seen pics of originals and the CS version is very close in design. At some stage I will get it professionally sharpened as I don't really have the means to sharpen it to its full potential with the sharpening equipment I possess. Don't get it mixed up with your edc blade and walk into the shops . Bugger , I thought I was carrying my swiss army tinker .